Following several lauded LPs released through the Neurot Recordings, this May founding USX vocalist/guitarist NATE HALL will unveil his first solo full-length, as another extension of the eclectic Neurot roster. 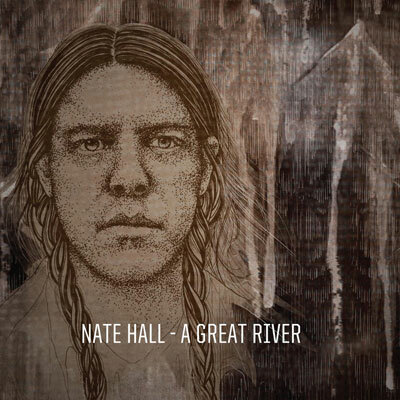 Set for European release on May 7th and in North America on May 8th, NATE HALL‘s debut A Great River showcases the songwriter’s talents at its most intimate and personal to date, displaying his distinctive style at its most stripped-down core. On A Great River, Hall’s Appalachian heritage shines more than ever before modernizing classic regional Americana through his signature vision. The Obelisk is hosting a new track from A Great River, a stream of the Townes Van Zandt cover “Kathleen” over AT THIS LOCATION. A Great River offers up a lush landscape of sonic richness. 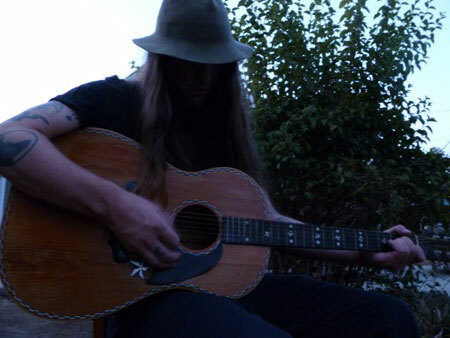 Recorded in March 2011 by Travis Kammeyer at Fahrenheit Studio in Johnson City, Tennessee, the opus features the pastoral artwork of Dark Castle’s Stevie Floyd. The album is a reflection of a lifetime spent with the echoes of Dylan, Young, Petty, Springsteen, and Van Zandt. It draws from the rich musical history of America, the melancholy of Appalachia, and harnesses the “electric vacuum roar” of guitar slingers past and present. Damnation 2015: Final Bands Announced Join AT THE GATES, HIGH ON FIRE, MONO & More!